** Note: Watermelons are mostly water — about 92 percent — but this refreshing fruit is soaked with nutrients. Each juicy bite has significant levels of vitamins A, B6 and C, lots of lycopene, antioxidants and amino acids. There’s even a modest amount of potassium. You will need to Freeze 2 cups cubed watermelon to get the “ice-cream” texture you desire! 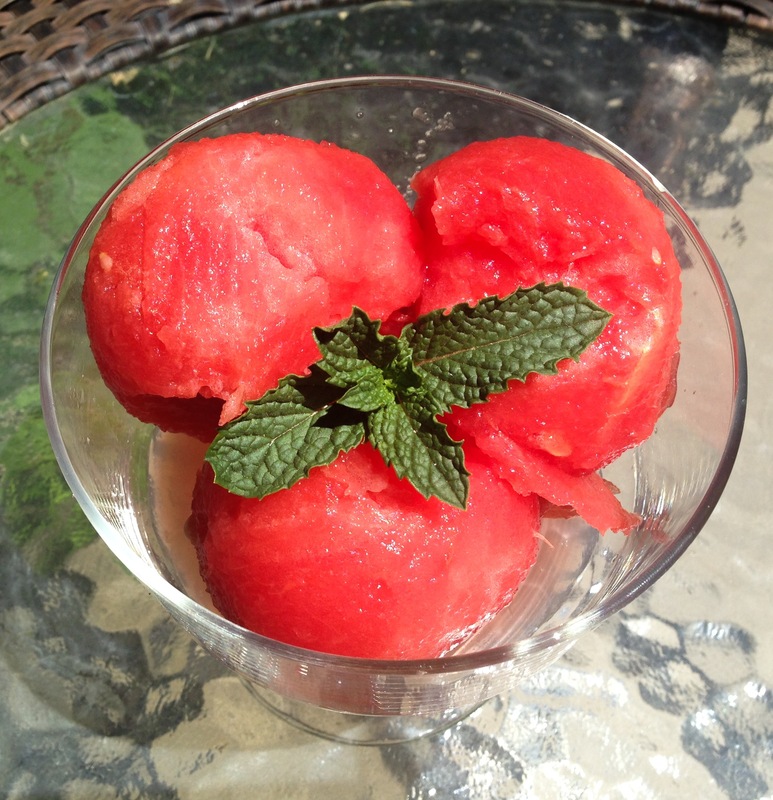 Pour or scoop your Mint Watermelon ice-cream Sorbet in a serving dish and ENJOY! Next The Beautiful Blogger Award!!! haha 🙂 I am eating some right now and its just amazing 😉 enjoy! Oh so simple but a refreshing sorbet in one of my favourite flavours 😊. This looks bold and refreshing! Can’t wait to try it! !